As teenagers on the precipice of dramatic change, being an upperclassman is a series of unrelenting, and seemingly unanswerable questions: What colleges are you considering? Do you know what you want to study? And the worst of them all: do you know what you want to be? It’s hard to answer these questions honestly, when prompted by a next-door neighbor or an estranged family friend, while one is still embroiled in the social, academic happenings of the now. Whether you’ve known you wanted to be an astrophysicist from the ripe age of 10 like Junior at Laguardia High School, Izzy Lapidus, or merely known that you don’t want to be anything close to an astrophysicist, like myself, the impending “need to know” is an unavoidable aspect of adolescence. However, is this inevitability a mere product of our capitalist society, mobilizing us into economic units rather than critical thinkers? Does this need to know diminish our integrity to explore the limits of our education, or does it shape us into impassioned, productive adults? While many adolescents are frightened by the prospect of choosing a career path, Junior Izzy Lapidus has met this prospect with surprising ease. Izzy has known since age 10 that she wants to be an astrophysicist or possibly a professor of astrophysics, as she doesn’t have “all the logistics figured out yet.” Upon hearing this, I couldn’t help but wonder if having such long endured interest in one subject has deterred Izzy from other prospective spheres of interest. In response to my inquiring, Izzy told me she “definitely puts more focus on subjects that directly relate to my [her] interests.” More specifically, after her sophomore year of high school Izzy decided to take AP Computer Science instead of AP French. In her words: “French is just not a subject I am passionate about, and so I deemed it unnecessary to take.” Izzy’s experience of dropping a class that doesn’t complement her personal interests is somewhat common ground amongst upperclassmen, who, after reaching a required amount of credits in a certain class have the ability to drop that class. For Izzy, her career drivenness enabled her to mediate between two equally important subjects. This ability to self-select areas of study that correlate to one’s chosen career requisites is integral in navigating the encroaching world of college, where areas of study are seemingly infinite. While it’s clear that the “need to know” what to do in life is deeply conditioned into the minds of most adolescents, Izzy’s astrophysics aspirations grew more simply from emotion and passion. Perhaps imposing “need to know” on young adults gives adolescents a heightened sense of a purpose throughout their education. Beacon Physics teacher of 2 years, Mr.Wight, finds this “need to know” both favorable and unfavorable. “On one hand,” Mr. Wight says, “it is an extremely valuable skill to be able to set a long term goal and execute appropriate short term goals to help you reach that goal.” However, Mr. Wight acknowledges that “not all high school students are confident in what career they’d like to pursue,” and “nor should they be!” Wight’s principal doctrine in regard to choosing a career is in accordance with the popular “life is about the journey, not the destination.” He believes, in choosing a career, “the most valuable learning comes from the process and not the end result.” Therefore, Mr. Wight advises students to allow the process to guide them, as opposed to them guiding the process by “working, relentlessly and tirelessly, to ‘achieve’ a goal and make it to a predetermined destination.” As someone who’s endured the entirety of this journey and several years of its destination, Mr. Wight’s advice should not be taken lightly as students embark on this journey. 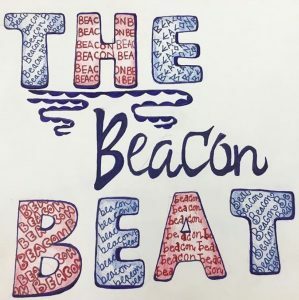 Crucially, Mr. Wight mentioned that it is likely Beacon students “will change careers several times” throughout their lifetime. As confirmed by the United States Department of Labor, members of Generation Z are expected to change careers 3 to 7 times. These predicted changes force us to reevaluate the assumption that one eternal and unconditional career path awaits us at the tail end of our education. Perhaps, our idea of what awaits is simply outdated. Forbes Magazine also anticipates the unconventional from Generation Z, as it is predicted only 15% of those individuals will choose financial security over job satisfaction. While this statement is deeply dependent on one’s current state of financial security, this foreseeable radicalism in Generation Z’s approach towards the working world is exciting. Additionally, the ever changing state of the economy suggests that today’s adolescents can’t rely on an outdated assumptions or ideals, we can only wait and see.